Can The Caspian Tiger Make a Comeback? Caspian tigers (Panthera tigris virgata) roamed the thicketed watercourses that flow through Central Asia’s vast arid deserts. 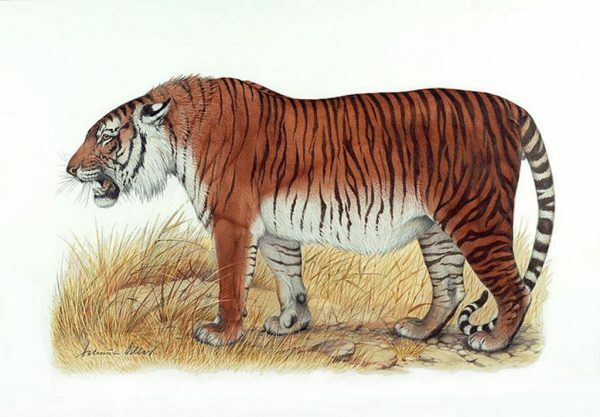 The subspecies, last seen in the late 50s, was exterminated in the late 19th century when the Russian government instructed its Army to eliminate all tigers as part of an agricultural conversion project. The last tiger in Tigrovaya Balka was seen in 1958, but rumor has it the final wild Caspian tiger was killed in February, 1970, in the Hakkari Province, Turkey. The Caspian tiger is last known to populate a reserve in Tajikistan. Tigrovaya Balka (tiger former river channel) was named after a tiger attacked two Russian Army officers riding horseback along the dried-up river channel. In 1947, Russia banned hunting of the Caspian tiger, along with the Amur tiger (Panthera tigris altaica), but it was too late for the Caspian tiger. There are Amur tigers in the Russian Far East today although they are listed as critically endangered. Carlos Driscoll, World Wide Fund for Nature (WWF) Chair in Conservation Genetics at the Wildlife Institute of India revealed that the tiger-of-the-riverbanks could make a comeback. Museums in Russia, Azerbaijan and Kazakhstan have specimens of Caspian tigers that enabled scientists to examine the DNA of the tiger subspecies. According to Driscoll, the Caspian and Amur tigers are too closely related to be separate subspecies. The DNA analysis enables us to understand how tigers populated the vast expanse of Central Asia. About 10,000 years ago, Caspian tigers used the river trail, a narrow corridor bordered on one side by mountains and by desert on the other, to migrate from eastern China to the region around the Caspian Sea. These early tigers paved the path for what we know as the Silk road between the Himalayan Plateau and the Mongolian Gobi desert. Some of the tigers returned to southern Siberia, establishing the Russian Far East Amur tiger population. Learning the Caspian and Amur tigers are likely the same subspecies opens the possibility of repopulating Central Asia with Amur tigers. 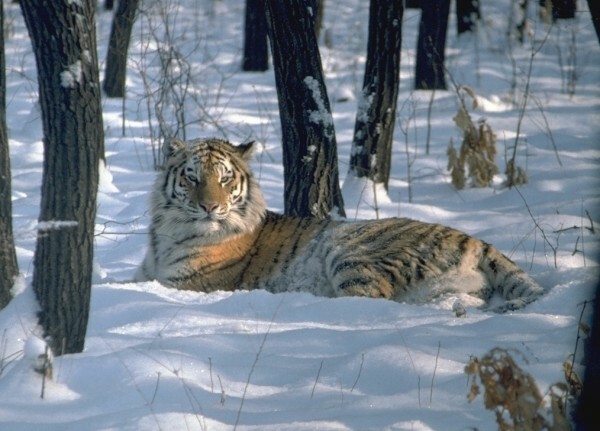 Biologist, Igor Chestin, CEO of WWF-Russia, presented a plan to reintroduce Amur tigers in the Caspian tiger’s former range at WWF headquarters in Washington, D.C. A feasibility study showed the 894-mile-long Ili River Delta that runs from northwestern China to southeastern Kazakhstan looks promising for the tiger comeback. As exciting as the Caspian’s comeback can seem, it is not without challenges. The reintroduction of predators is expensive and complex. With both proper planning and political will, it may just be possible. Good golly! I hope they find that this will be a beneficial finding. This is one of those wonderful results of DNA analysis. hopefully this is possible yet in my lifetime; and what a gorgeous cat ! ?? ?